The design of this gorgeous space began as a simple refresh to the existing deck, patio and walls. The owners wanted to prepare the property for sale as they had purchased land and were planning to build their dream home. 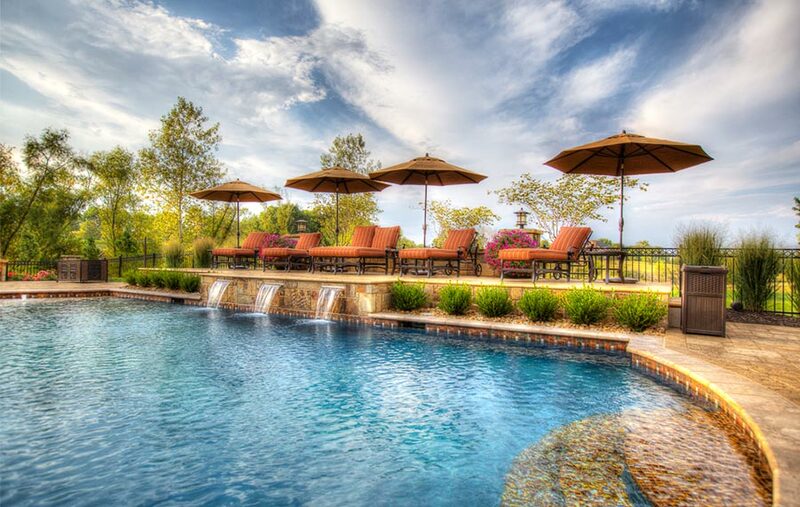 In the design phase, they visited several properties from the Backyard by Design portfolio and, as a result, the project plans expanded as the owners began to visualize how this project could make their property a backyard retreat. 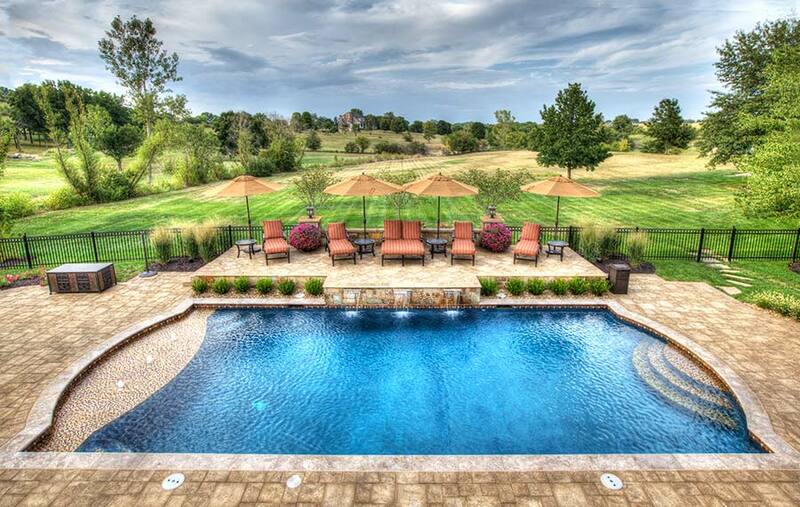 What began as a simple pool replacement quickly expanded in the design phase as we went along. This began with removing the previous pool, building a new one, and redesigning the entire space. To address their storage needs, a two level garage was built to house the pool accessories above the vehicles. 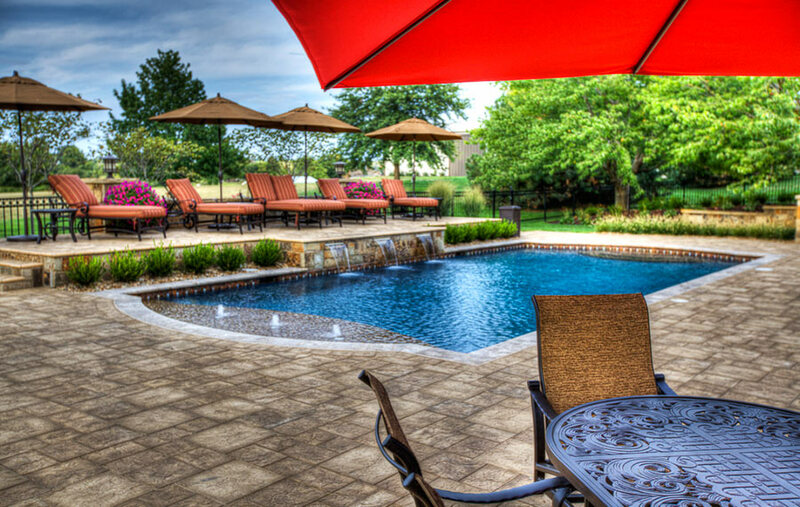 For comfort, we installed special tiles for the pool deck, which are made for southern climates, a material that does not get hot. 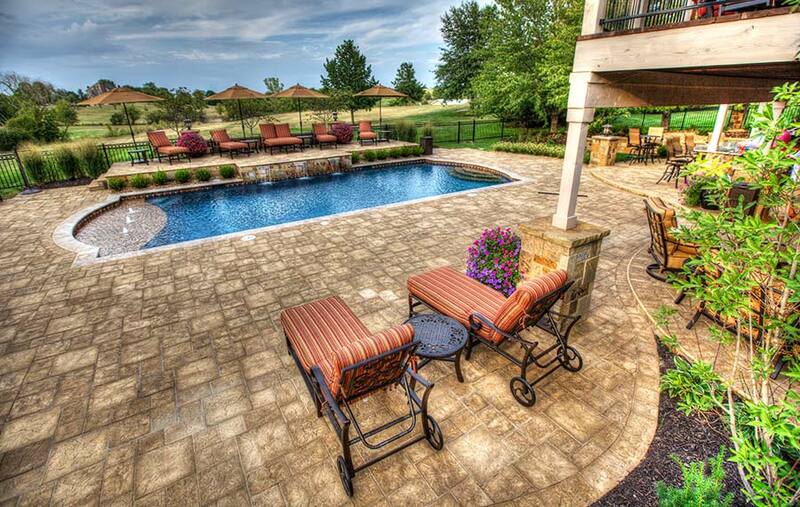 Three matching outdoor living areas complete with TVs and audio systems were created to make entertaining a breeze. And the automated mosquito control system ensures hours of outdoor comfort. 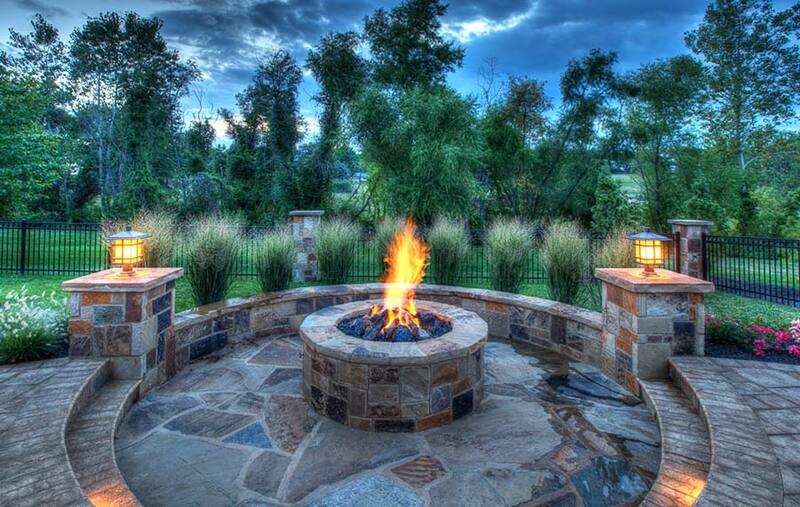 Sunken fire pits and elevated areas add to the visual ambiance and help with drainage. 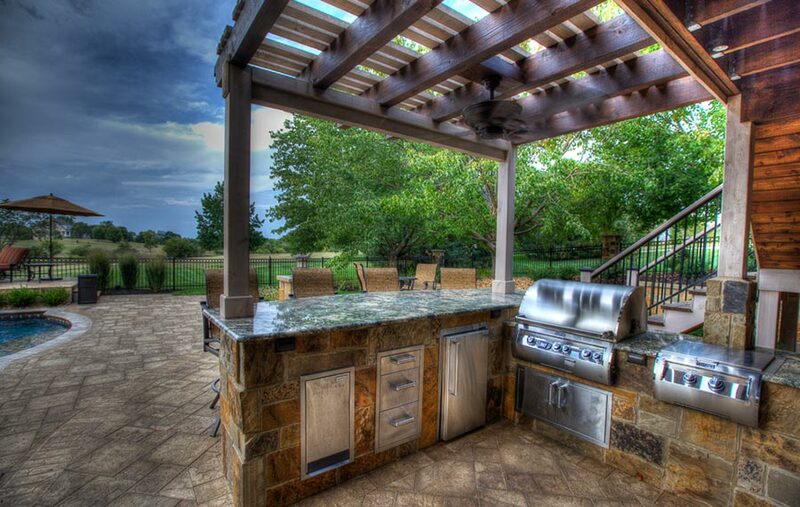 A full custom outdoor kitchen with granite worktops and high-end appliances top it off to make this a retreat for the whole family. In 9 months, this property that was being readied for sale had turned into the owner’s dream come true. 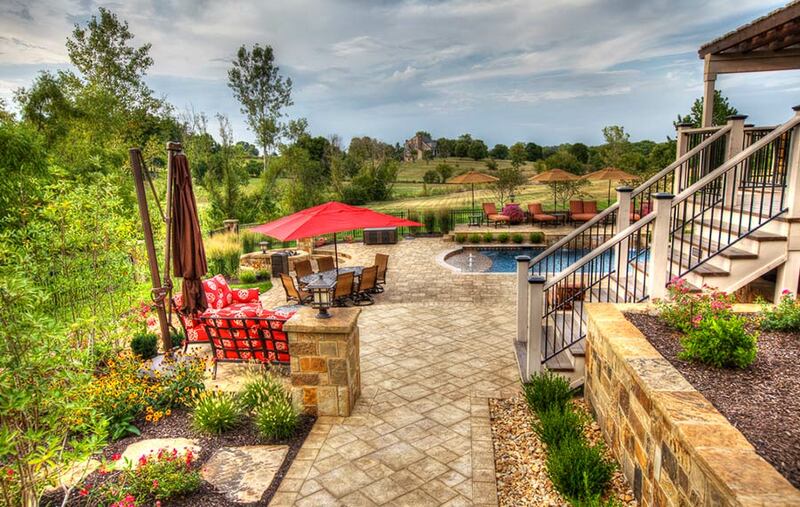 They decided to sell the land they had purchased and stay in their home to enjoy this backyard oasis. 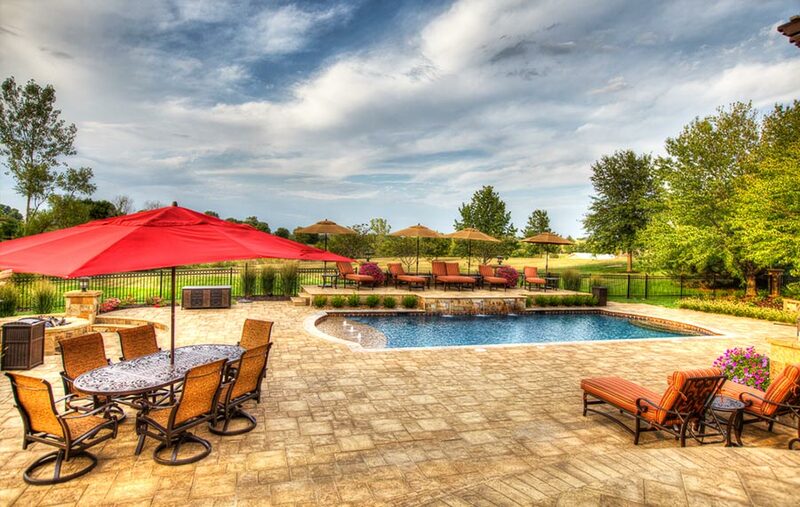 Backyard by Design is an award-winning Kansas City company specializing in creating beautiful landscape plans, pool, patio and deck designs, outdoor living spaces, and gorgeous lighting concepts.